Vivian Girls, named after the magnum opus of outsider author Henry Darger, started in Brooklyn, NY in March 2007 as the trio of Cassie Ramone (guitar/vocals); Katy "Kickball Katy" Goodman (bass/drums/vocals); and Frankie Rose (drums/bass/vocals).While only a band for a short while, they recorded a demo which included five original songs and a Wipers cover, and began to play locally in Brooklyn and Katy (Kickball Katy) and Cassie's home state of New Jersey.Within the first couple of months they had already developed a strong local following, supporting acts like Jay Reatard, Sonic Youth and the King Khan & BBQ Show as well as finding kindred spirits in other locals like Cause Co-Motion!, Crystal Stilts, and Woods, with whom they’ve shared many bills and helped develop a local scene. The band is still very much connected to their home scene. In March 2008 they released the "Wild Eyes" single on the Plays With Dolls label.With very little promotion and distribution the single became an underground indie hit as it charted on many college radio playlists and garnered positive reviews on the internet.Recorded in the same session, their debut self-titled LP was released by the Mauled by Tigers label, whose initial pressing of the LP sold out in ten days.During this time, the group signed with In The Red Records who released a new single in August 2008.In The Red re-released the Mauled by Tigers record on LP and CD formats in October 2008. In July 2008 the band underwent a lineup change with new drummer Ali Koehler replacing Frankie Rose.The band then went on an extensive tour that saw them visit the U.S., UK, Australia, New Zealand, Japan and Puerto Rico in two months.Their second album, Everything Goes Wrong was released by In The Red in September 2009.In May of 2010 Fiona Campbell of Coasting replaced Ali Koehler becoming Vivian Girls third and current drummer. With her they have toured with their third album "Share The Joy" to Europe, UK, Thailand, Japan, Hong Kong, and the US. Fiona is native to New Zealand and previously played there in a band called The Coolies. Katy Goodman (Kickball Katy) formed a side project with Cat Power's Gregg Foreman named All Saints Day, the band has digitally released one self titled EP. She now has a solo project La Sera. Cassie Ramone has a side project called The Babies with Woods bassist Kevin Morby. They have released two singles and a self-titled debut album in February 2011. Fiona Campbell also plays in Coasting and Chain & The Gang, and is co-owner of M'Lady's Records. 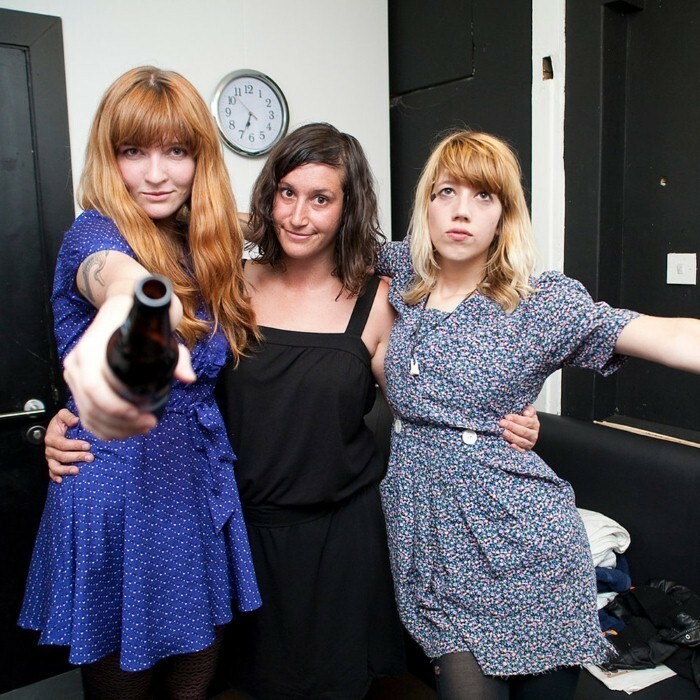 Vivian Girls Third album Share the Joy was released in spring 2011 by Polyvinyl Record Co., home to of Montreal, Japandroids, and Deerhoof among others.